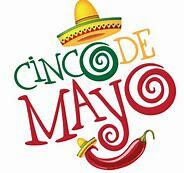 This Thursday, April 25, 900+ Cars and Trucks!!! Littleton Motor, ($100 every car sold!! many more. Great Selections Reps on site!!! Followed By Lease Plan, Hertz Corp, Avis Budget Group, Rayburn U/C, Kar Korner, Thrifty, Express Trucks, North Star, Barco, Uhaul, Many more. 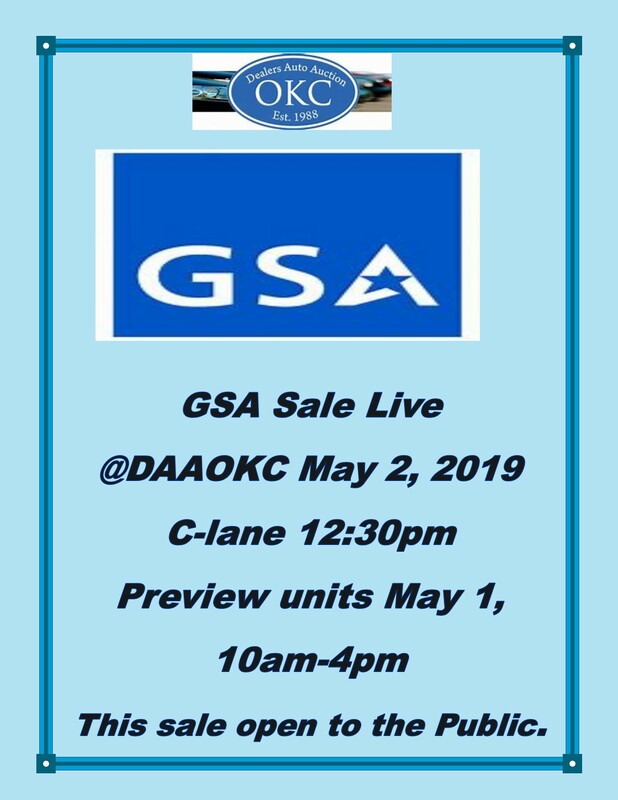 For 30 years, DAAOKC has been the trusted source for dealers, consignors and GSA public auction in Oklahoma. 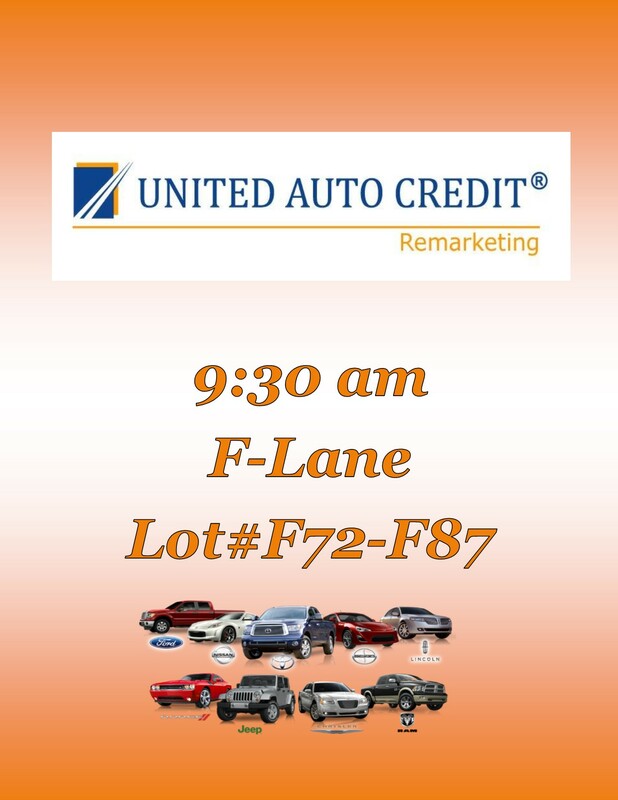 We are a full-service auction facility, featuring thousands of cars, trucks, fleet units and specialty vehicles along with financing and on-site vehicle prep and repair. See updated sales list and more. See the full schedule of upcoming events and get more action in the lanes with the latest parties, sales and giveaways. Our services go the extra mile with optional coverage and 100% satisfaction guarantee. Buy with confidence. Drive with coverage. Our one-stop shop makes units sales-floor ready faster! For 30 years, thousands of buyers trust DAAOKC for accurate listings, quick transactions, financial planning assistance and service after the sale. 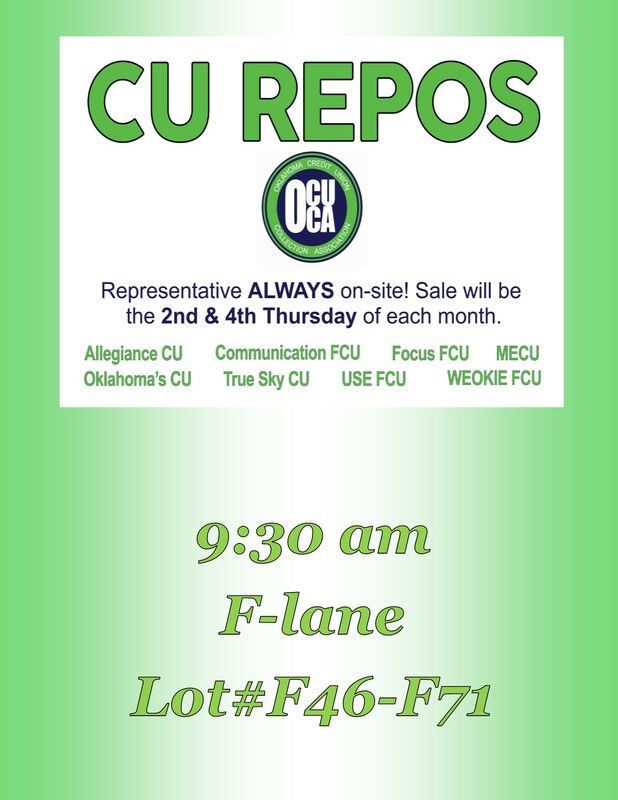 Schedule • Consignment Sales • More! 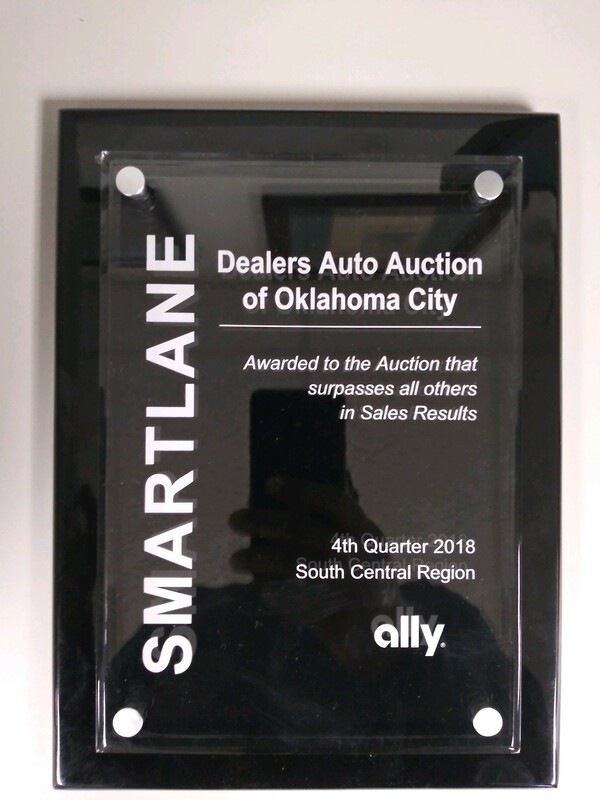 More consignors trust DAAOKC to get more out of their vehicle sales. With proven power in the lanes, our friendly staff is here to help you get more out of your next sale. Five reasons you shouldn't sell without DAAOKC. Join our Mobile Club for the latest updates.